The fact of the matter is that cybercrime is at its highest point than ever before. Data breaches are common, and hackers have a purpose to steal any sensitive information they can get their hands on. Whether it's personal credit card information or some valuable business secrets, every piece of information that's stolen has some value to cybercriminals. In order to combat cybercrime in the online world, more and more websites are opting from implementing HTTPS (Hypertext Transfer Protocol Secured). 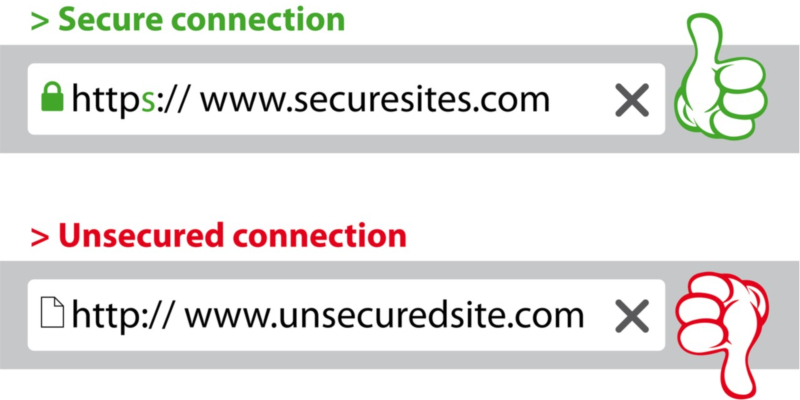 With that in mind, here are a few reasons why HTTPS matters for websites. HTTP, the predecessor of HTTPS is an application protocol designed as a foundation for communications in the World Wide Web. In layman's terms, HTTP allows a request-response communication between clients and servers on the Internet. However, this type of communication isn't properly secured, and third parties could easily listen in to any conversation. For that reason, HTTP required improvements in terms of cybersecurity, hence the extension S for secured. This is achieved by adding an SSL (Secured Socket Layer) certificate that's later been replaced by more secured TLS (transfer Layer Protocol) cryptographic protocol. Therefore, HTTPS stands for Hypertext Transfer Protocol over SSL/TSL. HTTPS takes website security to a whole new level. 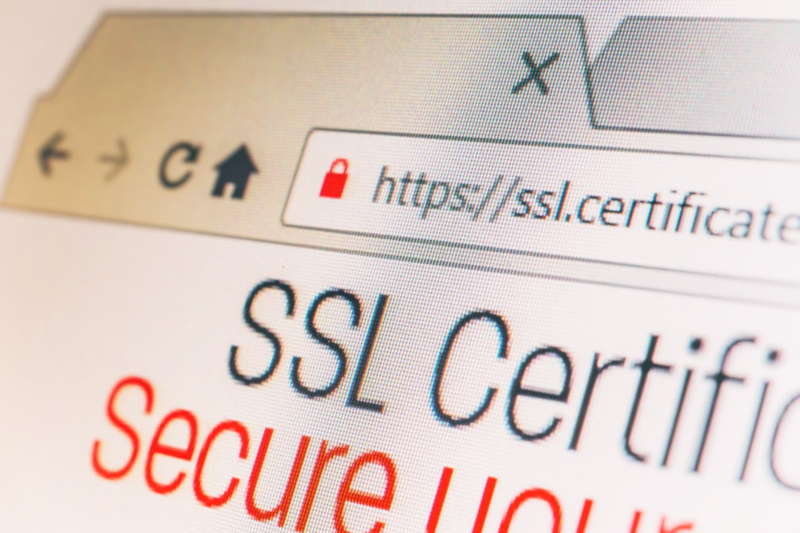 HTTPS prevents any third-party interference with how your website communicates with its users. These interferences can originate from hackers wishing to exploit your website's vulnerabilities, as well as intrusive companies that wish to "inject" their own advertisements on your website. As an example, an intrusive company may easily fill your website with their own ads, thus ruin the entire website browsing experience for your users. Normally, users would believe that it is, in fact, you who bombard them with pop-up ads and spam messages, which may result in outrage and dissatisfaction. On the other hand, hackers may exploit every unprotected resource on your website ranging from images and cookies to HTML elements to infect them with malware and trick users into giving up their sensitive information. As mentioned before, hackers can easily steal user-sensitive data and listen in to conversations if your website lacks an HTTPS. The most common way of data breaches is the man-in-the-middle attack that alters communication between websites and users allowing hackers to eavesdrop and take all the information they need. Websites that handle or process a lot of sensitive information from their users, such as credit or debit card information, payment options and so on, should definitely make a transition from HTTP to HTTPS. That way you'll be able to guarantee data safety for your users and ensure that no one can access their personal information. The way it works is that HTTPS encrypts any information on your website, especially data exchanged during communication, which prevents anyone from trying to break in. Nowadays, every company strives towards making their website more visible and easily accessible online so that their customers can find them more easily. That being said, SEO (Search Engine Optimization) has become more of a mandatory activity rather than simply optional. When it comes to SEO, website owners work on improving their ranking signals so that their website or individual web pages can appear on top of the search results on search engines, such as Google. One of such ranking signals is indeed HTTPS. Google, for instance, takes cybersecurity on websites as an important ranking signal. In other words, websites without HTTPS won't rank well on Google. You may have noticed the green padlock icon next to a web address when you browse the Internet. That means that the website has HTTPS implemented and that it's safe to browse it. If a website doesn't have the padlock icon, consumers will most likely avoid it altogether. Today, cybersecurity on the Internet has become very important for both companies and individual consumers. If your website isn't properly secured by at least having HTTPS implemented, chances are that it won't favor many visitors. Aside from that, data breaches can result in not just consumer outrage, but it can also potentially ruin your entire business.